I have always heard things happen for a reason… lately, I must say I’ve been struggling to find meaning in the all the events leading up to where I stand today living in a Domestic Violence Shelter, separated from my children and harassed by my extremely mentally abusive estranged husband and his entire LDS family. I’ve lived in Utah away from my immediate family in Arizona for the last 12 years, over the course of those 12 years my husband became progressively jealous and often physical when alcohol was involved. He would accuse me of many ridiculous things and often would involve the children and his family in his paranoid delusions of me cheating or lying to him. At one point going so far as to secretly paternity test all three of our children – All of which came back that he is without a doubt the father. I was hopeful that this would all get better and prayed that God would save our marriage, but over time amidst the continuous mental abuse it became obvious he had no intentions of getting help and would only continue the vicious cycle abuse. Although, it is obvious that what he does and continues to put the family through is clearly wrong, his family fully supports and stands by his every word and action which only fuels his fire of telling me that I have no one and will always need him to survive. During the pregnancy of our last child (just 1 year ago), I experienced complications and needed to go on early FMLA. My husband said that it would be easier for me to quit my job and just stay home with the new baby and our other two older children. Throughout that time his drinking and late nights out of the home increased to the point where he stopped coming home and eventually stayed gone for weeks at a time until he just stopped coming home altogether. After reaching out to him endless times to get answers on where he was and why he’d leave his wife (a stay at home mother) and his children took the only household income and provided no understanding of when/if he was coming home? Finally I was able to get communication from him on what he was doing and why. He told me that the marriage was over and he would not be coming back home and I would have to figure it out, find a job and also an apartment. He told me the only way he would come back home would be if I terminated the pregnancy of our fourth child. When I strongly told him I would not compromise my faith and go through with the termination he told me “fine have it your way… I’m not coming back”. At this time it was two weeks prior to April 1st and he was refusing to pay the rent in order for myself and the children to continue to have a home. Feeling like I had no other option I fled to Phoenix, AZ with my children to receive help from the only family I have that was willing to shelter us. Upset that I was able to make a decision independently; my husband filed court paperwork and demanded that I return the children Utah in an attempt to punish me. Devastated that my children were torn away from me just 11-days into my escape, I decided to return to Utah in effort to fight for the right to see my children. During the last two-weeks life in the shelter has been tough without my children’s smiling faces to see me through. The preliminary hearing stated that we both have equal rights and as such can both spend equal time with the children however, he and his family have done everything to prevent me from spending hardly any time with them. Their non—compliance with the court orders are extremely frustrating and becoming tough to navigate without proper legal counsel. This entire situation is deeply devastating, that one day I was a stay at home mom who trusted her husband and now I’m unable to go back to the residence we once lived in for 5 years and also hardly able to see my children all while carrying our fourth child. Since coming back to Utah in effort to fight for and remain near my children, I was able to obtain minimum wage employment, waking up at 5am and catching two buses from the DV shelter. So I write this with a very heavy heart, asking for anyone that can understand my desperate situation and urgent need for legal representation to please help by donating any amount and also prayers. I thank you very much for taking the time to read my story and may God Bless you! Hello, my name is Adriana. I'm 24 years old, currently living in Gastonia, NC. Recently, my abusive husband recently kicked out of my house, and, of course, I have a domestic violence case open. I don't have family here, and I'm not homeless because I'm staying at a friends house, but I need your help so I can get on my feet and get out of this mess with my kids. I can't go back to my country because my oldest has autism, and he receives here in the US all the therapies and helps that he needs. If you want to help me or know someone who can help, this is my go fund page: http://www.gofundme.com/2e742aks. I'm not asking for much whatever you can donate. I will be more than blessed and happy; I need this money to hire a Family/divorce lawyer and to cover my kids' necessities like diapers, baby wipes, etc. since my husband doesn't help with care. It started with slight emotional abuse. And then it got worse, and worse, and worse. Now, my aggressor has begun getting violent in the house, and it terrifies me! He hasn't hit me yet, but he's come very close. I know this will get worse; I grew up with a very abusive father, so I know the signs and the progression. At this point, I want to get out but can't afford to. If you can help me at all, I've set up a gofundme page. 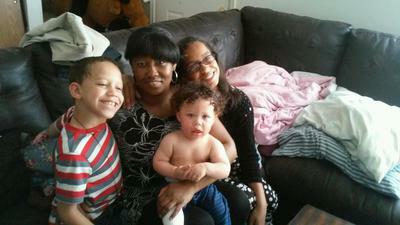 Six weeks bed rest, 1 of 9 bullets fired husband removed, Three girls in the house as happens. 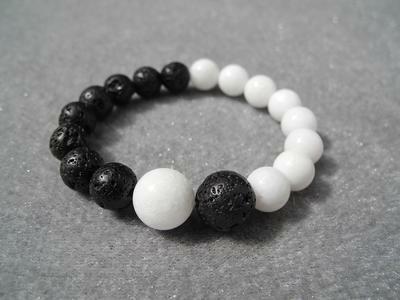 Need your good karma or "pay it forward" deed done for the day? Please read & Share with your city and or state in support of domestic violence and on behalf of helping a woman, mother back home to heal with loved ones. As a 3rd grader, Victoria was the champ on the kickball field as a fifth grader, and she was so cool to us. I am now 25, living in Oregon. She moved to Texas - but that's my first memory of her as a kind, gentle, sweet, follower of the lord, and mother of three children. 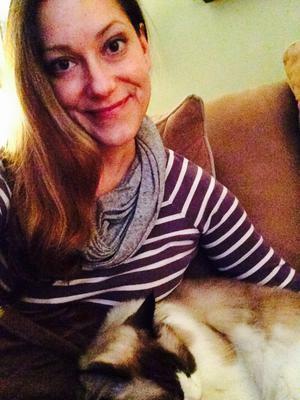 Victoria moved to Texas to live with her husband and kids for work I believe, as I have only followed up on her life via Facebook and living in the same small city - Allen Park Michigan. A tragedy has happened at the hand of her husband, and her hometown is distraught. As she will be on bed rest for six weeks to be able to hopefully remove the 8 of 9 remaining bullets they were unable to do so on July 11th when this happened. In awareness of domestic violence, I'd like to share a GOFUNDME that has been set up by the best friend and family of the sweet-hearted girl, as she needs to get HOME. Any help or sharing of her story would be appreciated and considered a donation on its own in the spreading of awareness. Who would have known? With three girls, and Paul C. in prison, the girls are safe, but funds are needed to safely and comfortingly welcome this family back to their loved ones. Please take a read and share with your city/state. And post with #supportvictoria or #domesticviolence in your posting as well if you wouldn't mind; as this has affected families in Texas, Michigan, Washington, and here in Oregon. Who knows where else? 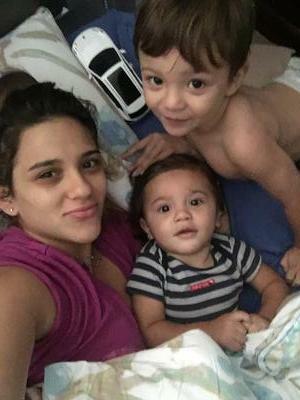 This woman Victoria Muniz needs our help and so do her three beautiful daughters. While we received the miracle of her still being here with us, I am leaping in faith here. Posted in Oregon. Mental Illness;Domestic Violence; Child Abuse; Neglect; Sexual Molestation; School Bullying..and so MUCH more! My part to play in this world is to share my story. It's painful to do and not something I look forward to doing EXCEPT for the thought of helping Million's and Million's of children going thru MUCH MORE and helping them to become a SURVIVOR! My book is called KERRI'S CURSE MIXED BLOOD MOTHER OF MADNESS PART I. Go to Amazon.com to look for the book and read a preview of the beginning of my story. It is not in print that's why I need as much help as possible getting this life changing story to the children and their support network-It TRULY takes a VILLAGE. I'm physically disabled, in a city with very few friends, and no personal transportation! Living on SSI everybody knows you barely get enough to pay for bills, food, and medication. I need everyone's help! www.gofundme.com/srpda444. I am in the process of changing the fundraiser from my account receiving the funds and have them go directly to my Publisher Inkwater Press, Portland, OR. If you would like to do that now here's their website address and phone # www.inkwaterpress.com. You will NOT see my book in their library because it's not in print or available for sale. Call them and they know me by name. 503-968-6777. Everyone knows me after all these years. My e-mail is kshaw1987@gmail.com. Filmmaker currently set to make film to bring awareness to physical abuse towards women. C.G. 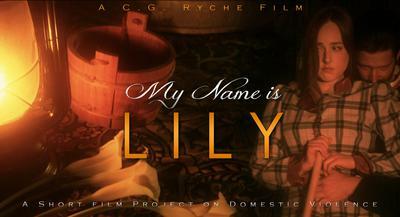 Ryche Films produces 'My Name is Lily,' a movie with a cause. Written and directed by award-winning filmmaker C.G. Ryche, 'My Name is Lily' is a period film about a couple living in1871 America, in an unstable relationship of lies, denial and abuse. When a young womanizer named Steven confesses he’s using his wife’s pregnancy to get ahead at the bank, his wife, Lily, who’s pregnant with their first child, confronts him about the affair she knows he’s having with a co-worker. Steven becomes defensive and angry in response to Lily’s accusations. The verbal altercation spins into much more after his wife tells him that she has had a miscarriage. He lashes out with physical abuse, blaming her for ruining his chance at success. Lily is cornered into making a strong choice to ensure her survival. “I wanted to tell a story that could move the audience and make a difference in the world," states director / writer C.G. Ryche, “We have an incredible opportunity to raise awareness about domestic violence as well as making a spectacular film. That's why we felt compelled to start a ‘Kickstarter’ to raise funds, it gives a community of people that have a deep passion about this issue the opportunity to be part of something that can make a difference,” says C.G. The money raised will be used for financing the filming of ‘My Name is Lily,' promotions and fees to enter the film into film festivals such as Cannes & Sundance. The film is highlighted by some established actors out of Hollywood including: Susan Elizabeth Shaw, Barrett Kiick and Ashlie Garrett.“ I believe that if we stand together, our voice becomes more powerful; this film will open eyes, it's sum will be greater than it's parts.” To find out more about how to get involved please visit and share the link below. I experienced so much violence, abuse, foster homes, as a child it still affects me to this day and I just turned 50! I want to share my story with you. My book is only a two year glance into my world. 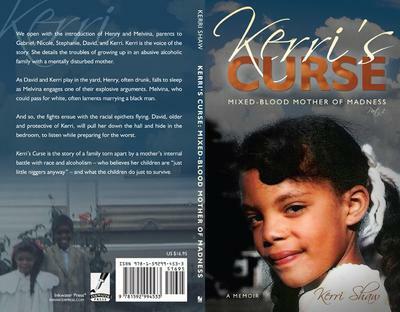 You can preview KERRI'S CURSE MIXED BLOOD MOTHER OF MADNESS @ Amazon.com/books. "Look Inside" and you will have a clear idea of a home filled with alcohol and anger. God Bless and help us all!